Thanks everyone for hanging in there with me. I knew that having another little human in or life would be demanding I just didn’t equate all the other craziness that summer brings with it as well. Mostly all good things but still a very busy life with late nights and many curve balls. Anyways just wanted to say thank you for sticking with us during this time of business and transition for our family. 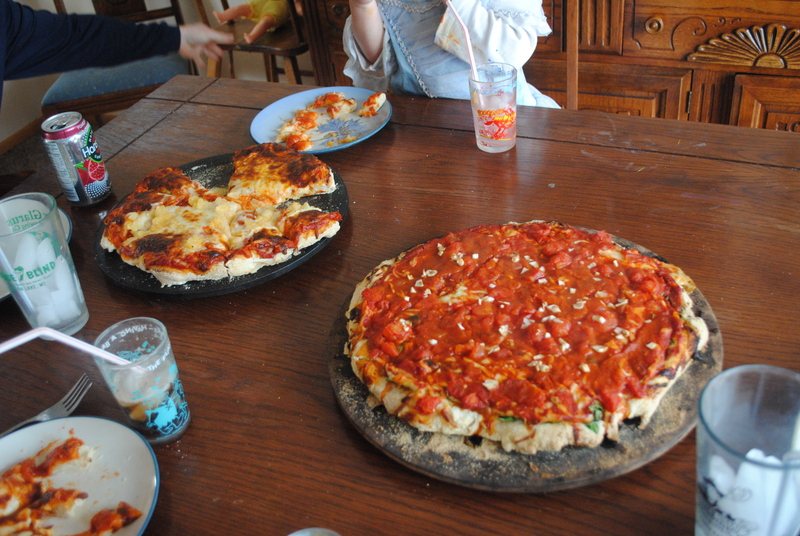 We ate this pizza and were hooked. 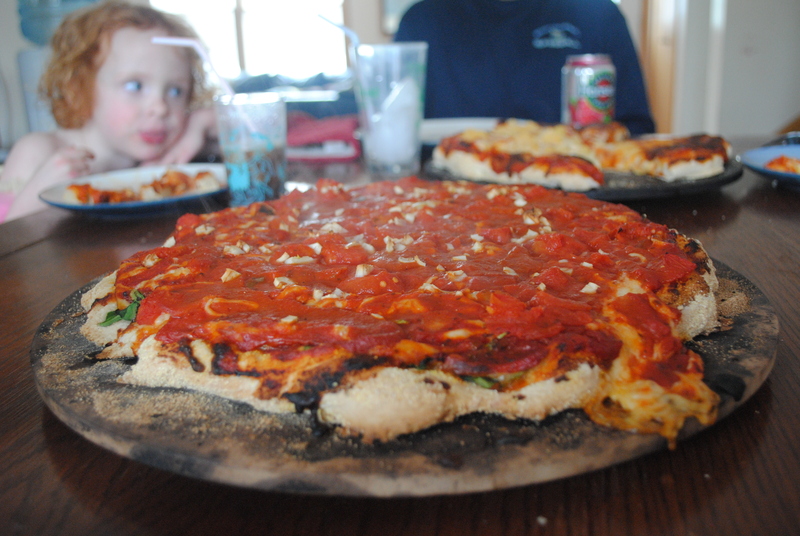 We loved the spinach on the bottom and the sauce on top made it really different and delicious. As well as loads of garlic. Wow. 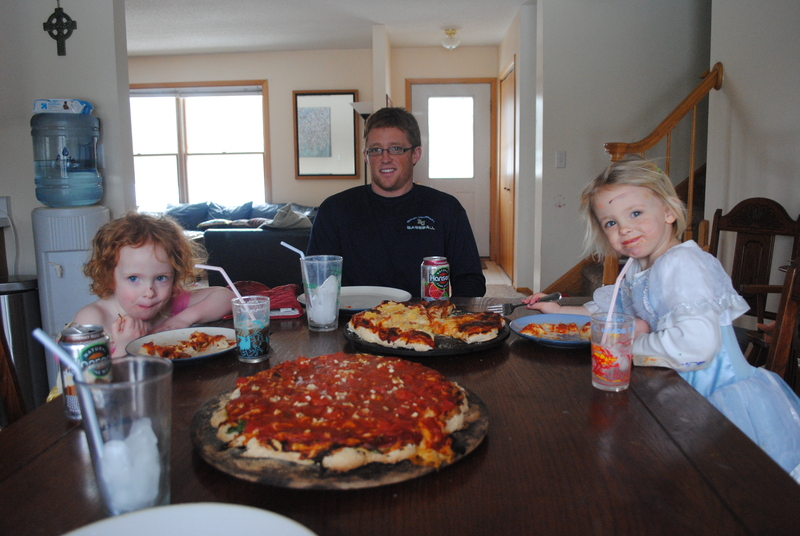 So of course a week later we were at home reminiscing about how much we loved the Ruby Rae pizza and wanted it again. Since Duluth is an hour an a half away we had to think up a better solution than taking a three hour round trip drive for a pizza. Solution: Make our own!